Labour's Shadow Chancellor will today demand an urgent meeting with Whitehall chiefs saying the government could collapse over the meaningful vote on Theresa May's Brexit deal. 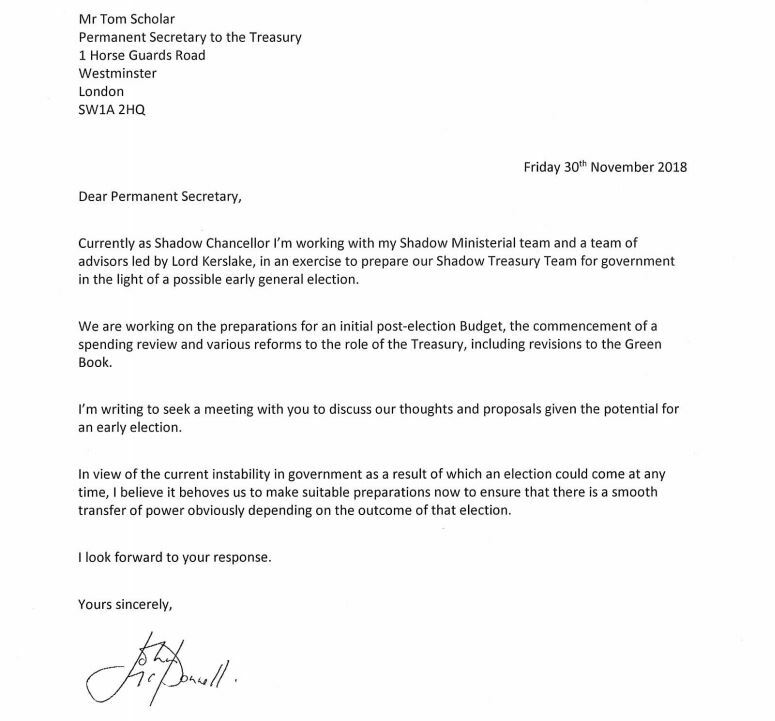 John McDonnell wrote to Treasury Permanent Secretary Tom Scholar: "In the view of the current instability in the government as a result of which an election could come at any time, I believe it behoves us to make suitable preparations now to ensure there is a smooth transfer of power obviously depending on the outcome of that election." 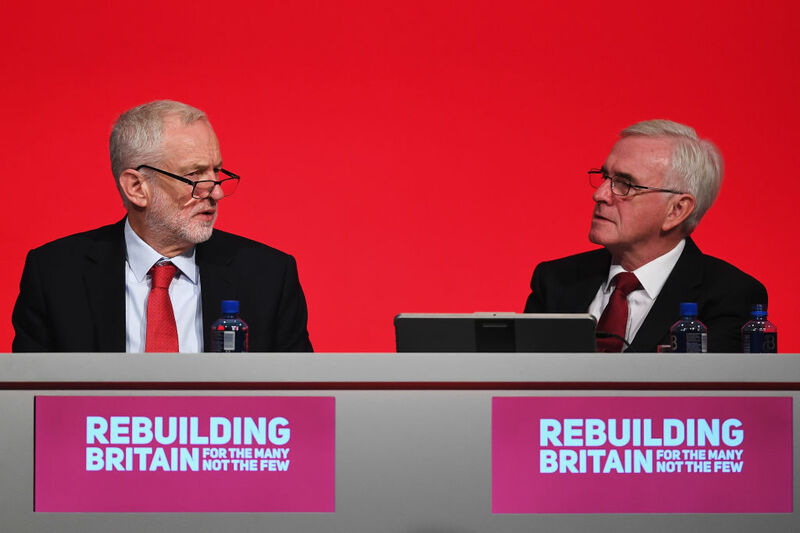 In an exclusive interview with Matthew Wright, Mr McDonnell said all 257 Labour MPs will vote against the Prime Minister's deal in the House of Commons next month. He added that several MPs from Leave constituencies, as Mr McDonnell’s own Hayes and Harlington is - are concerned too. “A number of them were thinking 'well, we've got a vote for some form of deal', but I'm talking to them and they say: 'you couldn't vote for this deal, it's so bad. "There's a large number on our side obviously who remain as - well, as, Remainers." He confirmed Labour would not support a renegotiated deal on a potential second vote, saying: "I can't see a deal being somehow conjured up on the basis of the existing one that will get parliamentary support. "What might happen is that the deal is voted down and then the prime minister goes off to the summit, because there's a European summit soon afterwards, and tries to renegotiate. "I don't know if she does come back with minor tweaks or something like that? I can't see our own side supporting her, let alone us." The content of the ballot paper in the case of a second referendum "I've said up until now that, look, the ballot paper will be determined by parliament. It's difficult to see parliament deciding - if there is to be a choice - that you don't have some remain option on there. But it will be determined by parliament. If we get to that state." At Labour conference, Mr McDonnell suggested any second vote should be on the deal and not include an option to remain. At a public event on Tuesday, Mr McDonnell hinted a remain option might be on the ballot paper and said no deal should not be. He has previously said he would vote Remain at a second referendum, but refused to be drawn on this question when asked by journalists last week. Asked if he admired Theresa May's "tenacity", Mr McDonnell said: "I can't do that if someone is clinging on. She has the wrong judgment and she hangs on. "The longer this government hangs on the more human suffering there will be. But also even over Brexit, the more damage they'll do because she knows even if she wins the first vote she then has to bring in the legislation and then what will happen - it will be like John Major all over again."